If you are concerned about financial loss or having to forfeit your belongings to creditors, lawsuits, or even a former spouse, you need legal counsel you can trust. 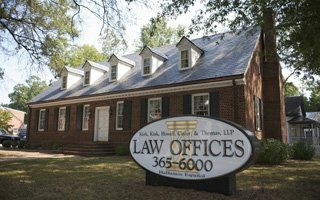 Kirk, Kirk, Howell, Cutler, and Thomas, LLP offer experience and knowledge for those who need asset protection in Raleigh. Whether you have a large fortune or only a few assets, such as a vehicle or property, we can help you keep them safe while still in accordance with North Carolina and federal law. At our Raleigh law firm, we see many people suffer financial losses and gain serious legal problems by either forgoing asset protection or trying to do it themselves. One factor we see is a commonly held belief that wealth protection is only for those who are wealthy. In truth, everyone owns assets and wealth of some type, whether it’s a savings or checking account, a vehicle, or a retirement account. If you have assets and owe money or are threatened with legal action, the time to protect yourself is now. A more serious problem is when individuals or businesses try and cover up wealth using unscrupulous methods. 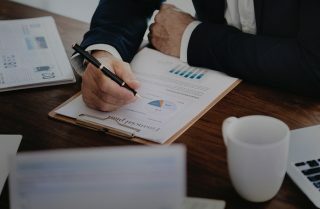 There are very strict laws regarding tax evasion, concealment, and fraud, and unless you are extremely knowledgeable of the law, you may find yourself in trouble with the IRS or being charged with a crime instead of safeguarding your finances. Having liability insurance is one of the simplest and most effective ways to protect yourself from litigation. It’s generally not expensive – the premiums are often a fraction of the cost of a court judgement. Consider raising the umbrella coverage on your homeowners and auto policies, or if you’re concerned about business-related litigation, you can raise your coverage on your business insurance. Placing your assets in a specific type of trust is one of the most effective methods to protect your wealth for your beneficiaries. However, once the trust is established, it is irrevocable and the person named in the trust is the owner of the property. Because the assets are no longer yours, your creditors can’t touch them and they can’t be used to satisfy legal clams, but that does mean you can’t have any interest in or control over the trust. In many cases, if you are the only one liable to the creditor, property and assets in your spouse’s name or in both of your names is not eligible. For example, if a creditor tries to put a lien on your property due to a debt that only you are responsible for, the property can only be in your name. A home in your and your spouse’s name is not eligible. Using a business entity like an LLC or corporation to operate your business protects your personal assets from any business-related liability or litigation. In some cases, investing in your retirement protects your wealth from legal claims. ERISA-qualified plans and IRAs offer protection. It’s important to note that you can’t access those funds until you are 59, and contribution amounts are limited, but it is an option that your Raleigh lawyer can guide you through. At Kirk, Kirk, Howell, Cutler, and Thomas, LLP, we take pride in helping our clients ensure a stable financial future. Our legal team will provide you with experienced legal counsel and offer comprehensive service related to asset protection so you can move forward confidently and without fear of losing the wealth and property you’ve worked hard to achieve. Learn more about our services by calling 919-615-2473 or by completing the contact form below.